There's a standard session procedure for every studio musician, and it's the difference between a real pro and an amateur. While many of the following items below also apply to playing live, there’s a different emphasis that centers on professionalism in the studio. All items apply to every recording session, with the possible exception of recording in your own studio. Arrive early. You should always arrive at least a half-hour before the downbeat of the session. This means that if your session starts at 7PM, you need to be there at 6:30 or earlier to be ready for 7. You can’t expect to get there at 6:55 and for everything to be cool. If the session starts at 7PM, find out if that means load-in time or actual downbeat time. Remember that if you keep your employers waiting, you probably won’t work for them again. Turn off your cell phone! The session should be your main priority with as few distractions as possible. One of the easiest ways to achieve this is to turn off your cell phone. If you leave it on, not only do you risk ruining a good take if the ringer goes off, but talking on the phone is the best way to stop the momentum of a session in its tracks, and it’s so disrespectful to everyone else at the session as well. Don’t even bother to put it on “vibrate” since this will cause you to lose your focus just as easily as when the ringer is on. Turn it off, then leave it outside the studio in the lounge so you won’t be tempted to use it. Make sure your instruments are in good working order. 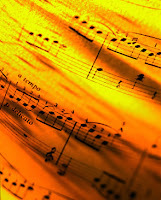 This means that you should have them professionally checked so that every note plays true without any unwanted noise. Make sure to check your tuning to the “A” of the track. If the song isn’t tuned to the standard A-440, there’ll be a tuning note recorded on the track for you to tune against. The tuning of your instrument is really easy to overlook when you’re tracking because sometimes being out of tune isn’t that obvious, but it will bug the heck out of you (not to mention the producer and composer) every time you hear it played back forever and ever it it’s out of tune and you didn’t take the time to fix it. Warm up quietly. You’ve got to warm up and everyone expects you to, but try to be quiet as you can so you’re not a distraction. The quieter you can warm up, the more everyone will appreciate it. Don't make any unnecessary noise. The less talk, the better. Don't leave your earphones uncovered or turn them down when you don’t have them on your head. A little courtesy like that can go a long way. Don’t complain about the temperature. It’s never going to be perfect for everyone, so it’s useless to even bring this up since it just becomes a distraction. The only exception is that if it’s so cold that it physically impedes your playing or cause problems with your instrument. Stay awake! Listen to everything that’s going on and be ready to play at all times. If you’re playing with other studio musicians, watch the leader and stop playing when the leader stops. Don’t talk after a take until the engineer or producer says it’s OK. Nothing can either ruin a take or make a lot more work for the production team than someone thoughtlessly making a comment at the end of a take. Even if you think the take will have to be done again, keep all comments to yourself. Sometimes a take that feels bad to you can feel great to everyone else. Always seem interested in the music. It’s easy to get a little complacent when your chops exceed what you’ve been called to play on, but try to get beyond that feeling. It’s best to have only enough chops for that particular job. Nothing more and nothing less. Showing off is a good way not to be asked back. And try not to look ahead on the chart when you’re playing, it’s a good way to loose your place. Stay out of the control room. Unless you’re specifically asked, stay in the studio. And if you’re asked to come in to listen to a playback, don’t eat the booth food unless offered. It’s not necessarily there for you! Make any charts, notes or cheat sheets beforehand. Once again this comes under the heading of being prepared. If you have some time before the downbeat of the session, ask to hear the song (if there’s a demo or you’re going to be doing overdubs) so you can make a chart or notes. You don’t want to be wasting anyone’s time for something that could so easily been done beforehand. Also, if you have to mark your charts, do it so anyone can read it later, so make all your notes legible. Don't pack-up early. Don't leave until you're officially excused, and be sure to clean up your area when you’re dismissed. Following these tips will take you a long way to being hired again the next time. 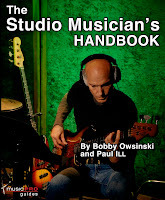 For more on what it takes to be a studio musician, check out The Studio Musician's Handbook. Danny Barnes has a nice post on his blog about making a living playing music. It's long and little difficult to read because of the layout, but the information is really good. Let me select some points of his that I consider important, but I'll put them into my own words. 1) Keep your expenses low. Most musicians do this already except they spend their excess funds on gear (I know, who can resist?). The idea is to be able to keep a roof over your head, pay your taxes, have health insurance, and even put a little away for a rainy day. If you make a bunch of dough, you'll know how to deal with it already, and if you don't, you still won't have to be selling your gear to make a car payment. 2) You must build your infrastructure. Your infrastructure consists of a lawyer, bookkeeper, CPA, doctor, mechanic, instrument repair guy, and a web guy, plus a backup for each one. If you're an artist, also include a manager and an agent. Having someone around who will always tell you the truth no matter how much it hurts is also a good idea. 3) Keep 2 things in mind when making a deal. No matter whether it's with another person, club owner, manager or company: a) make sure any arrangement is always win/win, and b) make sure that either of you can walk away at any time and it'll be cool. 4) Don't be afraid to do other things to make money in the short term. You need money to live, you need it to feel good about yourself, and you need it to advance your career. Stop mooching off your family or girlfriend. 5) Keep working on your art. Keep studying, rehearsing, practicing and learning. You can never learn enough and you're never as good as you think you are. 6) Keep your art your main focus. Remember a phrase that has always kept me going and kept everything in perspective: "Art is something you do for yourself. A craft is something you do for everyone else." A musician needs to maintain his art to feel good about himself. Don't give yourself completely away to the craft side of music or you'll begin to hate it. 7) Do everything you can to build an audience. If you have an audience, gigs, managers, agents and just about everything else you need to work in the music business will come looking for you. 8) Be wary of musicians that tell you how great they are, or only talk about gear. If you truly are great you won't have to tell anyone, they'll tell you. If you only talk about gear, it means that you're avoiding what could amount to a meaningful or helpful relationship. 9) Learn to write songs. Not only is writing fulfilling, but it gives you many options to make money beyond just being an artist. Publishing is one of the few areas of the music business that is still actually doing well and will probably continue to do so. It also helps you maintain your "art." 10) Don't give a CD, or send music or a press kit to someone unless they ask for it. The chances are almost 100% they won't listen to it or read it anyway, and you'll probably ruin any chance of them asking for it in the future. Danny has a lot more points that you might like to read about. He's speaking from experience, which is always the ultimate teacher. One of the most overlooked items during recording is placement in the recording room. Most times, placement of the instrument will be either random or whatever's convenient, but it plays a big role in how your recording will sound since the environment is so much of the total sonic package. Here's a excerpt from The Drum Recording Handbook regarding placement. It's obviously about placing the drums in the room, but the techniques apply to other instruments as well. 2) Pro engineers will usually test a room by walking around and clapping their hands. That’s a good way to find a place in the room that’s has a nice even reverb decay. If the clap has a “boing” to it (a funny overtone), then so will your drums so it’s best to try another place in the room. 5) Whatever you do, stay away from glass if you can. Glass will give you the most unwanted reflections of just about any material. If you have no choice because of the way the room or the band is situated, try setting up the kit at a 45° angle to the glass." For some additional excerpts from The Drum Recording Handbook and a look at the table of contents, check out the Bobby Owsinski website. I don't believe there should be a Rock n' Roll Hall of Fame. HOF's are great for sports where there are statistics to help make an educated choice regarding who qualifies, but there's no such thing for music so the selection becomes completely arbitrary. Even though I don't agree with it's existence, one thing that the R n' R HOF does right is it's awards banquet, very unlike the Grammy's. The HOF's big night is strictly for the nominees and attendees of the ceremony. When we eventually view it on television, we're only getting a peek of what it would be like to be there. The show is not made specifically for general public consumption; it's an exclusive event with a very narrow focus. The Grammy's, on the other hand, have grown to become a spectacle - one where the event is far greater than what's supposed to be it's primary focus, which is the achievement of the people behind some hopefully great music. The National Academy of Recording Arts and Sciences (NARAS) is supposed to issue a Grammy award for excellence in the production of music, but that's not what it's turned into. 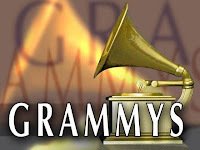 The Grammy's have become synonymous with the event itself and NARAS as an organization instead of the award, and the people behind the music have been forgotten. Think of that for a second - Recording Arts and Sciences. Did you see much of that last night? Awful performances, singers so far out of tune as to make you cringe, weak industry-made superstars, a terrible audio mix, audio drop-outs (apparently for language), forced artist combinations and scratch-your-head song selections and arrangements - for what? I'll tell you why - the Grammy awards show is what keeps NARAS in business and it's execs well-fed. It makes about $28 million a year, while membership brings in only $1.5 mil (and membership is declining). So if NARAS wants to keep the dough coming in, it has to pander to the lowest common denominator broadcast-wise. But is this what the organization is really about? Unfortunately it seems to a case of "let's keep the income stream going" instead of truly being a service to its membership. It's time for the Grammy's to come back to earth. Scale the sucker back so it's primary focus is on it's members and their merits. Let's get rid of the grand spectacle - it doesn't add anything to the music - but give the public an exclusive look if they still want. Give the award for the right reasons, because now, it's an abomination that gets worse and worse every year. I'm just finishing up producing a record for the band SNEW were we were lucky enough to get multi-Granny winning engineer Ed Cherney to record the basics and then mix (which is still in progress). While recording basics at Village Recorder, I asked Ed if he would add a few comments for a DVD that would accompany a book that I just finished called The Music Producer's Handbook. If you know Ed, you know that he's a fun guy to be around, but he waxes pretty philosophic in this interview. Just like his studio work, it's pure gold.